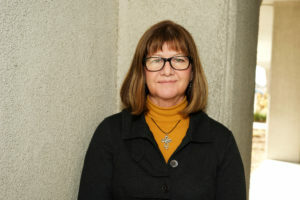 Jackie Kelly-Pemberton serves as the Zone 11 Director on the Ontario Federation of Agriculture (OFA) Board of Directors representing the counties of Dundas, Frontenac, Grenville and Leeds. She was elected into the position for a three-year term in November 2017. Kelly-Pemberton, along with her husband Steven, operates a small beef cow/calf operation in Dundas County and farms 200 acres of hay, corn and IP soybeans. She previously served as President of the Dundas Federation of Agriculture for 13 years and sat as a member on OFA’s Policy Advisory Council (PAC). She is a Class 14 alumni of the Advanced Agricultural Leadership Program (AALP).